Hello OCC Friends! 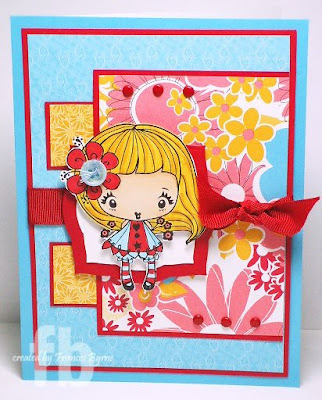 We would like to thank all those that played along in last week's Triple Play challenge, your samples were so wonderful and full of embellishments!! Before we start with the challenge, we would like to announce the winner for the $25 Gift Certificate to A Touch of Grace -Paper Boutique. Congratulations to Heather Dennis, check out her blog: Heather's Coffee Break. Please email us your address so we can get your goodies out to you. 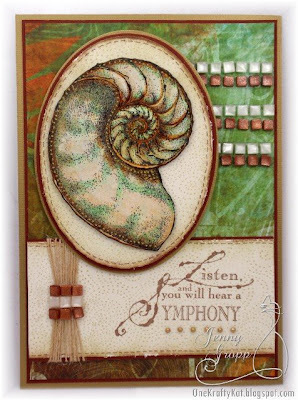 Thank you to Jerri Jimenez for sponsoring the Gift Certificate to her store and sharing her wonderful art with us as last week's guest stamper. 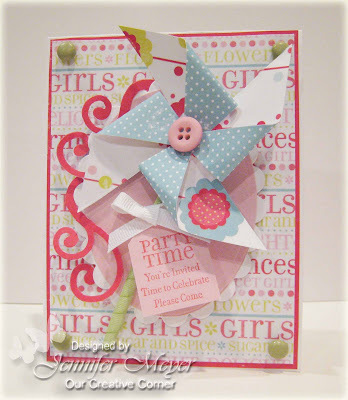 This week our July hostess, Jenny Gropp, has challenged the OCC to create a card or project using the provided sketch. There is no time limit on our challenges - feel free to participate whenever you are able. To play along, upload your creation to your blog or gallery, then leave us a comment linking to your project so we can check it out. If you upload to SCS, remember to use keyword: OCCC. This week as a treat for playing in the Challenge, we have a $25 gift certificate up for grabs from Impression Obsession that will be awarded to someone that joins in this week's challenge. And just to let you know Impression Obsession will have all new Fall and Holiday images on the IO store web site starting August 1st.... just in time for the winner to get some brand new rubber! We also have a guest designer with us this week. 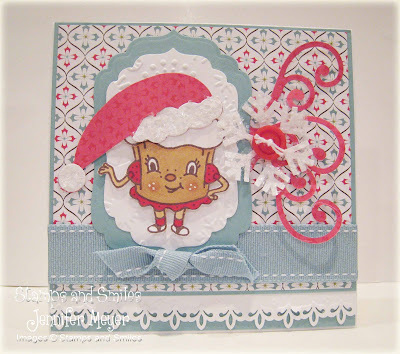 Please welcome the very talented Kecia Hicks, with her totally adorable card above! 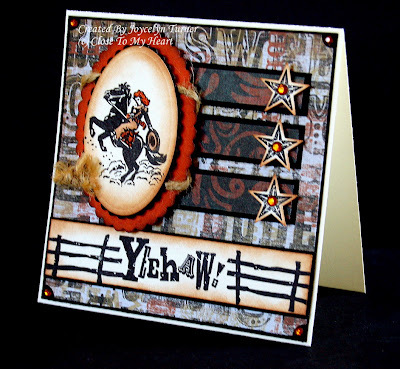 You can find more of Kecia's super designs on her blog Stamping Deets . 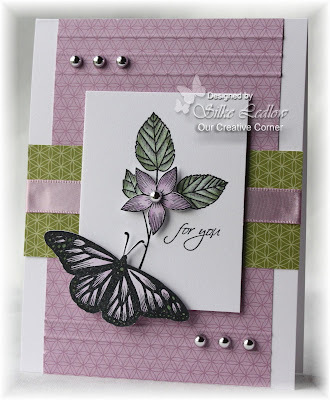 Thanks Kecia for joining us for this week's sketch challenge! Welcome OCC Friends! 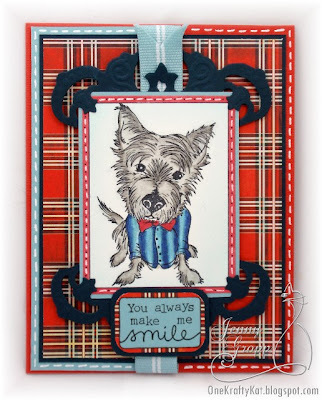 We would like to thank all those that played along in last week's sketch challenge, your pet cards were so fun - it was like a pet parade hopping around to see everyone's great creations!! 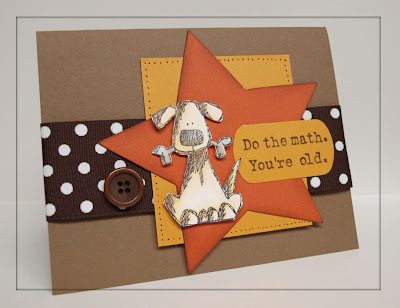 Before we start with the challenge, we would like to announce the winner for Dog Gone Stamps $25 Gift Certificate. Congratulations to Fonda from Southern Scraps. Please email us your information so we can get the Gift Certificate to you. This week our July hostess, Jenny Gropp, has challenged the OCC to a TRIPLE PLAY Challenge... Less is not always more! 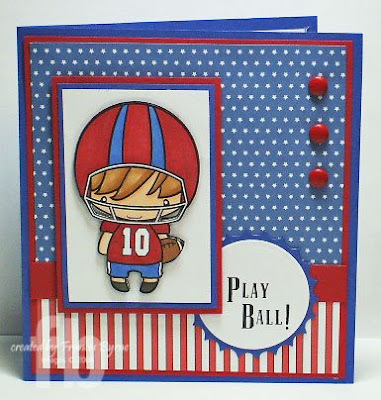 You must pick at least three types of embellishments to use on your card or project. These are your choices: Brads, Eyelets, Bling, Ribbon, Buttons, Thread/Floss, Beads, Charms, Rub Ons, Liquid Applique, Crystal Lacquer. There is no time limit on our challenges - feel free to participate whenever you are able. To play along, upload your creation to your blog or gallery, then leave us a comment linking to your project so we can check it out. If you upload to SCS, remember to use keyword: OCCC. 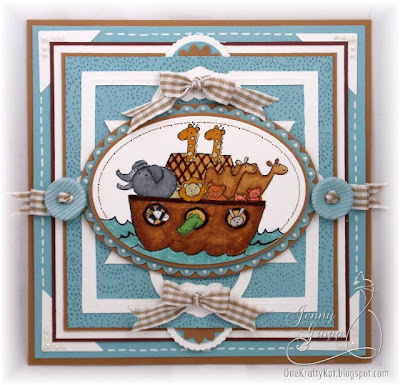 This week we have Jerri Jimenez (aka Jerri Kay on Splitcoast) with us, sharing her wonderful creation above as the guest designer for this week. 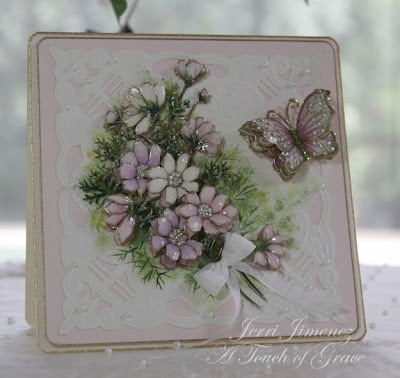 If you are not familar with Jerri's inspiring art and designs you must head to her beautiful blog A Touch of Grace. 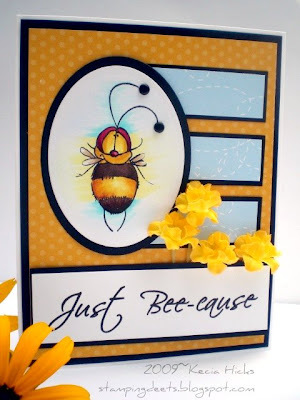 Her creations are so detailed and amazing, they are pure eye candy! Jerri is also sponsoring this week's prize with a $25 Gift Certificate to her very NEW on line store A Touch of Grace -Paper Boutique. 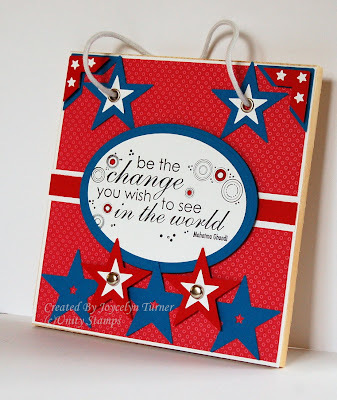 Thank you Jerri for sharing your fabulous work with us and sponsoring the OCC Challenge this week! Hello OCC Friends! Mr. Linky is back... If you don't see your name on the list, please re-add it so we can easily find you. Hello OCC Friends! 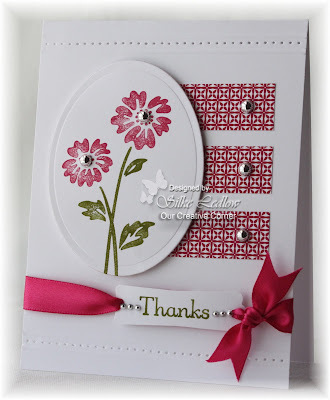 We would like to thank all those that played along in last week's sketch challenge, your samples were so inspiring!! Before we start with the challenge, we would like to announce the winner for The Cat's Pajamas - "Happy Camper" giveaway. 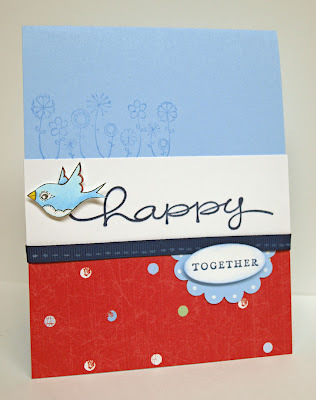 Congratulations to Martha Stewart of Seasons of Stamping. Please email us your address so we can get your goodies out to you. 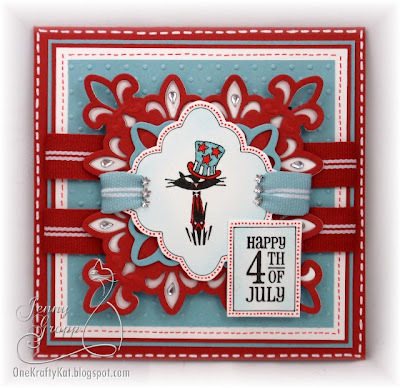 This week our July hostess, Jenny Gropp, has challenged the OCC to create a Parade of cards or a project using "Pets" as the focus... a cat or dog, or other animal image. There is no time limit on our challenges - feel free to participate whenever you are able. To play along, upload your creation to your blog or gallery, then leave us a comment linking to your project so we can check it out. If you upload to SCS, remember to use keyword: OCCC. 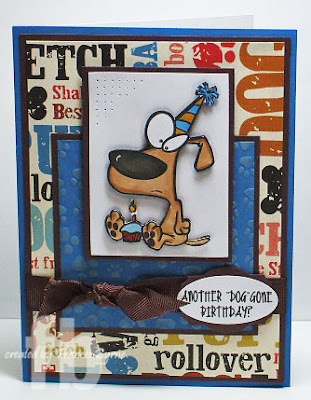 This week as a treat for playing in the Challenge, we have a $25 gift certificate up for grabs from Dog Gone Stamps that will be awarded to someone that joins in this week's challenge. 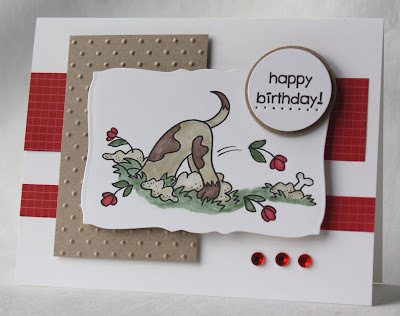 A very big Thank you to Nancy at Dog Gone Stamps for hosting this week's prize and for creating some totally wonderful stamps that capture and celebrate our pets! We also have a guest designer with us this week. 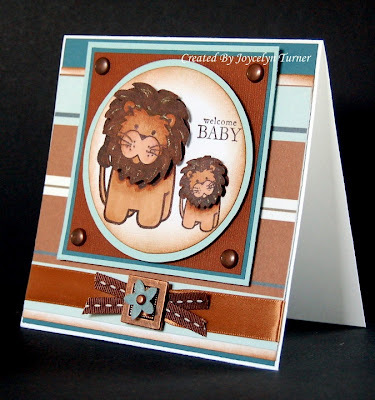 Please welcome Robin Kirkpatrick, with her cute kitty creation above! 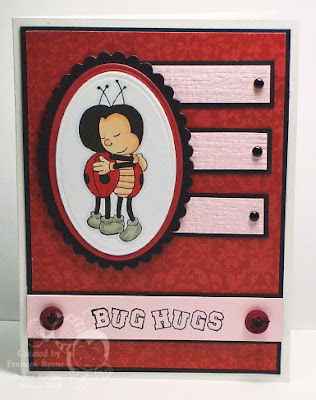 You can find more of Robin's great designs on her cleverly named blog Robin's Rubber Room. Thanks Robin for joining us for this week's challenge! Hello OCC Friends! 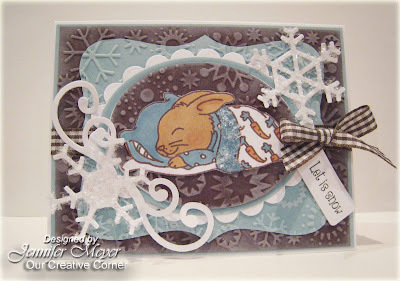 We would like to thank all those that played along in last week's sketch challenge, your samples were so fantastic!! Before we start with the challenge, we would like to announce the winner for the Stamp and Smiles Giveaway. Congratulations to Wendy Aungst, from WeeBeeStampin . Please email us your address so we can get your goodies out to you. 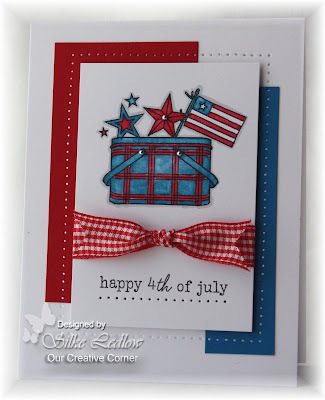 This week our July hostess, Jenny Gropp, has challenged the OCC to create a card/project using “Red, White and Blue" as your color combo. 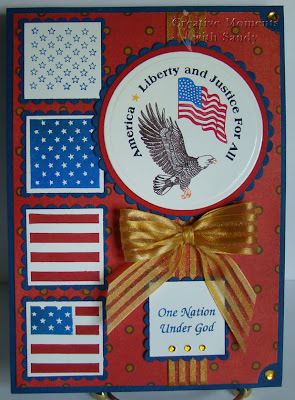 It does not have to be Patriotic Themed, you can can use any shades of those colors that inspire you. There is no time limit on our challenges - feel free to participate whenever you are able. To play along, upload your creation to your blog or gallery, then leave us a comment linking to your project so we can check it out. If you upload to SCS, remember to use keyword: OCCC. This week as a treat for playing in the Challenge we have one of the very swanky and Newly Released sets from The Cat's Pajamas - "Happy Camper" that will be awarded to someone that joins in this week's challenge. A very big Thank you to Alma at The Cat's Pajamas for hosting this week's prize and for creating some seriously swanky stamps for our stamping pleasure! 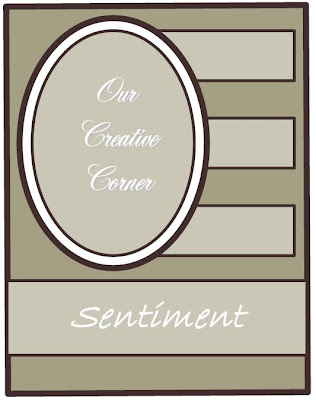 We also have a Guest Designer with us for this week, Sandy Hulsart, who maintains TWO blogs! 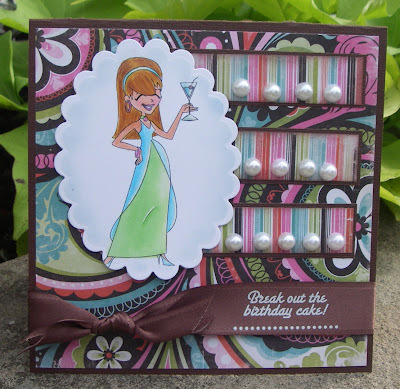 One for her delightful card creations that she colors expertly with Copics: Creative Moments with Sandy and the other blog is dedicated to her amazing talent creating Stampscapes Scenes ...Scenes by Sandy. Thank you Sandy for playing along with us this week!